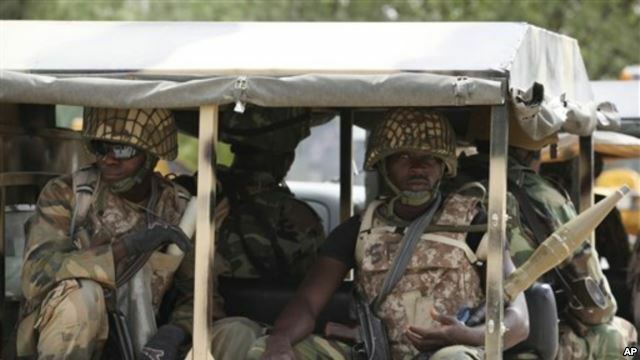 A jeep full of Improvised Explosives Devises was among the weapons recovered by troops conducting cordon and search operations after suicide bomb attacks on Zabamari Muna, near Maiduguri. 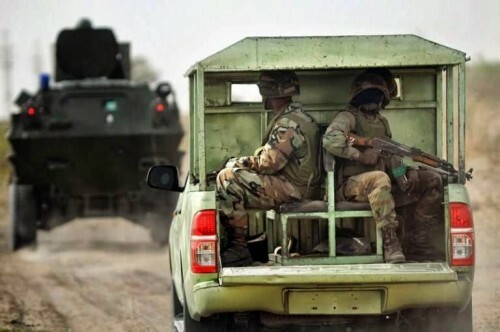 A statement on Saturday by Major General Chris Olukolade, Director Defence Information, said the jeep, along with 2 hilux vehicles, being used by terrorists were destroyed in the course of pursuit and encounter with a group of terrorists trying to escape after simultaneous attacks on targets in the communities, Thursday and Friday. A total of 6 suicide bombers had detonated themselves around the garage killing scores of people, while some people were also wounded. A soldier also died. Military Explosives Ordinance experts backed by Police Bomb Disposal Units are continuing with vigorous search for any bombs that might have been hidden or left unexploded in the area.